The use of medical and recreational marijuana has been in the news for years now with states either approving for medical use, recreational use or both, or deciding they do not want to approve either one within their states. Marijuana is still illegal in the federal sense, but states have the ability to govern their own territories allowing it to pass, even though federal law still holds precedence over the states. But lately, the talks of cannabidiol or otherwise known as CBD, derived from the marijuana plant itself can give benefits without the high. Usually in the form of edibles or oils, CBD is being used to treat a variety of health conditions, both mentally and physically but do the benefits outweigh the risks? Would you be willing to try it? First off, it is important to note that CBD is NOT the same as marijuana. Marijuana, the bud of the hemp plant, cannabis sativa, contains THC, or delta-9 tetrahydrocannabinol which gives the feeling of a “high” that is known to be mind altering. The CBD does not give you the mind altering affects, and is actually legal in all 50 states as long as it is “hemp-derived.” The hemp plant itself only contains less that 0.3 percent THC. While if the CBD is derived from marijuana itself which is where the legal issues may come in to play. There are four states where marijuana-derived CBD is illegal including Idaho, Kansas, Nebraska and South Dakota. Our bodies contain receptors for cannabinoids, which are called CB1 and CB2 receptors. Found in the body and in the brain, CB1 receptors handle pain, emotions, mood, thinking, appetite, memories, and coordination. THC attaches to the CB1 receptors. The CB2 receptors are more common within the immune system and affect inflammation and pain. Recent studies found that CBD does not attach to either, but the use of CBD directs the body itself to use more of its own cannabinoids. Recently, the FDA approved a purified form of CBD, Epidiolex, to treat seizures with two rare and severe forms of epilepsy in patents that are over the age of two. The use of CBD in this sense is different than recreational use; it is meant for a specific use of controlling seizures and is delivered to each patient in a reliable dosage in a route of delivery to make sure the patient is getting the anticipated benefits of CBD. This is the first step to discovering the properties of CBD and how they can be used to help patients have alternative options to pharmaceuticals. It is important to note that you should always check with a health care provider and review the benefits and side effects of any medicine to ensure that the benefits outweigh the risks. Especially with CBD, it is important to ensure that the company you are purchasing from is legitimate and provide test results of ingredients. Of course, there are always risks of anything we do in life. There have not been any studies to evaluate the use of long-term CBD usage. NCBI has done a study on the safety and side effects of cannabidiol. CBD oil and its benefits are emerging as studies continue. The first step is the FDA approval and its other studies to reduce the effects of neurological disorders, treatment for substance abuse, diabetes prevention, and reducing cancer in mice. What are your thoughts on the use of CBD oil? Are there any benefits that you think CBD could personally help you manage? Are you concerned about the risks and the lack of long term studies? Having a natural medication to help a variety of health issues may help release the dependence on pharmaceuticals and change the path of handling illnesses. Would you be willing to give it a try? Yes, CBD is good for health if you are using it for medical purpose. It controls pain, mood, appetite, nausea and many types of diseases. I have also heard that now Athlete can use the CBD products for recovery. 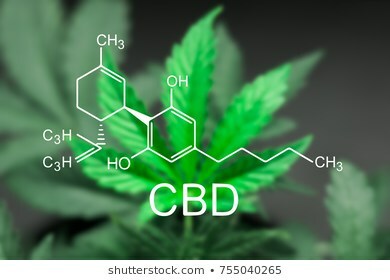 For more detail, you can read the new article "Uncovering the Secret – Athletes and CBD in 2019", I hope you will get more information from this article too.